A lot of smack has been talked by Cuba’s Erislandy Lara ahead of his July 12 junior middleweight title fight against Saul “Canelo” Alvarez of Mexico at MGM Grand in Las Vegas (on Showtime pay-per-view). Oscar De La Hoya, who is promoting the fight under his Golden Boy Promotions banner, believes Alvarez has taken Lara’s mouthing off to heart. 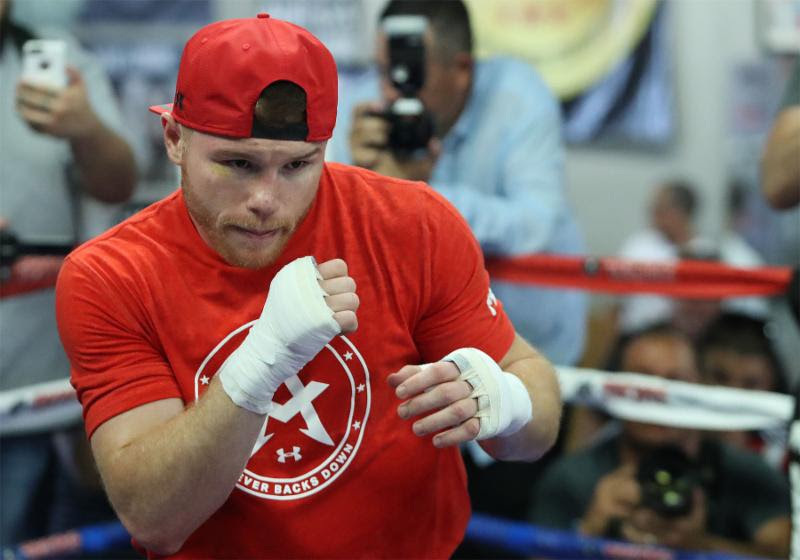 This Showtime video previews the undercard for the July 12 junior middleweight showdown between Saul “Canelo” Alvarez of Mexico and Erislandy Lara of Cuba at MGM Grand in Las Vegas on Showtime pay-per-view. Just click on the link. The hard-hitting welterweight bout between Marcos Maidana of Argentina and Josesito Lopez of Riverside won by Maidana via 6th-round TKO at Home Depot Center this past Saturday will be replayed tonight at 7 (10 p.m. on the East Coast) on Showtime Extreme. A record sellout crowd of 8,629 took in the event that was televised live by Showtime. Also on tonight’s replay will be the junior middleweight semi-main event between Erislandy Lara of Cuba of Alfredo Angulo of Mexico. That ended in the 10th round when Angulo appeared to suffer a broken left orbital bone as the area ballooned to grotesque proportions. Moments after taking a hard punch to the eye from Lara, Angulo turned his back and the referee stopped the fight, Lara getting a TKO. Alfredo Angulo has tried to get under the skin of Erislandy Lara, his opponent Saturday at Home Depot Center, by insinuating that like many Cubans, Lara still has an amateur style that is not all that pleasing to fans. Lara, the 2005 amateur world champion at welterweight, is 17-1-2 with 11 knockouts. Angulo is 22-2 with 18 knockouts. Their junior middleweight fight will be televised by Showtime on the undercard of the welterweight main event between Marcos Maidana of Argentina and Josesito Lopez of Riverside.